Darryl talks more about the contest Pow Wow. this is an ojibwe legend using main characters of the chickadee and the tamarac tree. a story of compassion, assistance and humility. 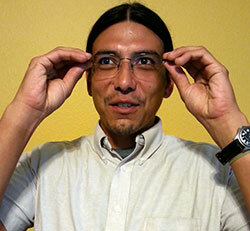 In this segment we continue to cover Pow Wow dancing styles. In this segment we talk about Men's Fancy Dance Style. In this segment we talk about Men's Grass Dance Style. In this segment we talk about Men's Traditional Dance. Today we talk with a special guest: Ashley Tolbert. In this segment we explore Southern Women's Traditional Dance style. Today we continue our dance styles with focus on Northern Women's Traditional Style. 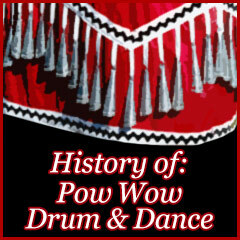 In this segment we continue our exploration of dance styles with focus on the Jingle Dress and Jingle Dress Dancing. This this segment we learn about different styles of dancing with focus on Hoop Dancing. 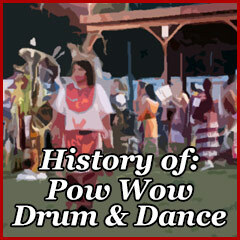 This show introduces us to the history of Pow Wow dance. 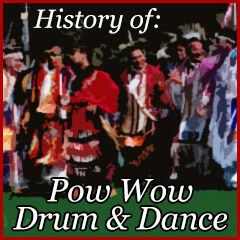 This program is about the history of the earliest know drum and drumming.